In the world of retail, the only returns you want are returns on your business investments. With Epicor Eagle N Series, you get precisely that—a tool that is engineered to go the distance, hit revenue and profit targets, keep customers coming back, and deliver great returns on your technology investment. This eBook includes comments from Epicor customers that are using the tools Eagle provides to reduce inventory costs, increase margins, and drive customer loyalty. 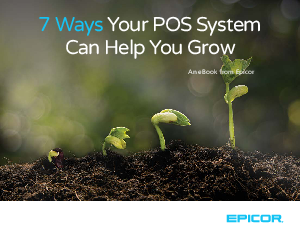 Download the eBook and take advantage of the years of experience Epicor has providing technology for retailers and understanding their needs.